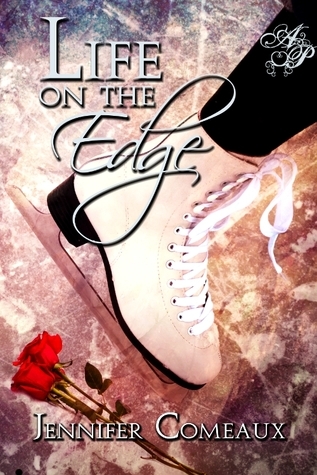 Synopsis: Nineteen-year-old Emily is new to pairs skating, but she and her partner Chris have a big dream–to be the first American team to win Olympic gold. Their young coach Sergei, who left Russia after a mysterious end to his skating career, believes they can break through and make history. Bio: Jennifer Comeaux earned a Master of Accounting from Tulane University and is a Certified Public Accountant in south Louisiana. While working in the corporate world, she sought a creative outlet and decided to put on paper a story that had played in her head for years. That story became Life on the Edge, her first published novel. When not working or writing, she is an avid follower of the sport of figure skating, travelling to competitions around the country. Those experiences allow her to see another side of the sport and serve as an inspiration for her writing. This is an excellent read for anyone who enjoys the world of figure skating. It isn't just a romance, but a look into the good and bad times as a team prepares for the ultimate challenge - the Olympics. Throw in falling in love with your coach and needing to lie to everyone about it and Emily has far more on her plate than she can easily handle. It's a good thing that I absolutely love her coach, Sergei, or I would be mad at him for taking advantage of his student. This mindset is exactly why they need to keep their relationship secret. Sergei could be banned for life from the sport he loves if anyone ever found out. But there is more than the secret relationship. Both bring secrets into it that neither is willing to share at first, causing more problems than solutions at first. With a great cast of secondary characters to help them figure out what they are going to do - some good advice and some bad - they manage to struggle through and figure out where they want to be. But there is one person whose intentions aren't so good. He will stop at nothing to see their success ruined and their relationship destroyed. He sets up their final test to see if they can make it. Throughout the entire book the emotions run high and keeps things interesting and moving along in a way that was hard to put down. I had a slight problem picturing Sergei, but I think that was just me - the author does a great job making him an amazing character. Thanks so much for being part of the tour and for the great review! !